Charmaine is regarded as an expert in English Family Law and is one of the few Family Solicitor finance Arbitrators (CIArb) which means she is able to hand down binding judgments in family law money matters. Charmaine has the benefit of BA (Psychology) and LLB degrees. 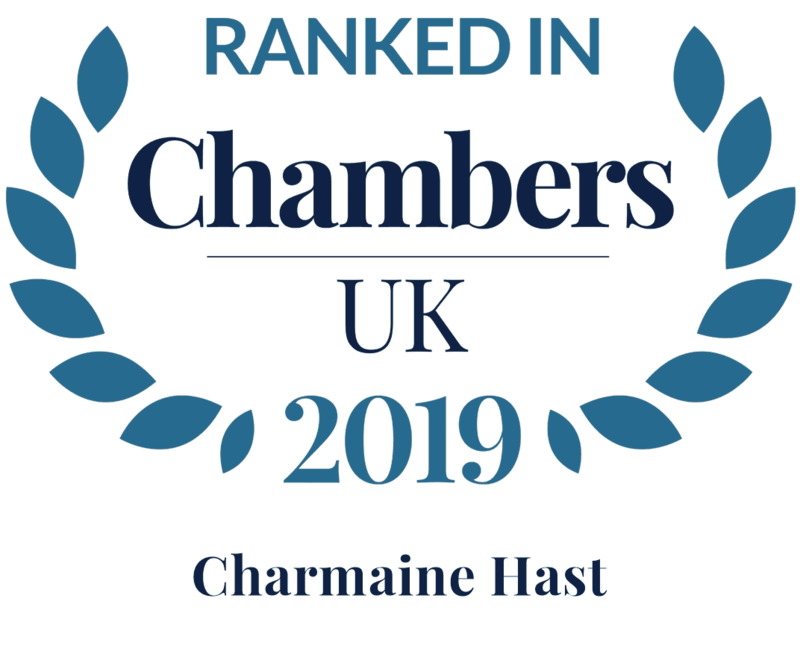 Charmaine has been named in the Spear’s 2019 Index, listed as a leading individual in Legal 500 and is individually ranked in Chambers UK. 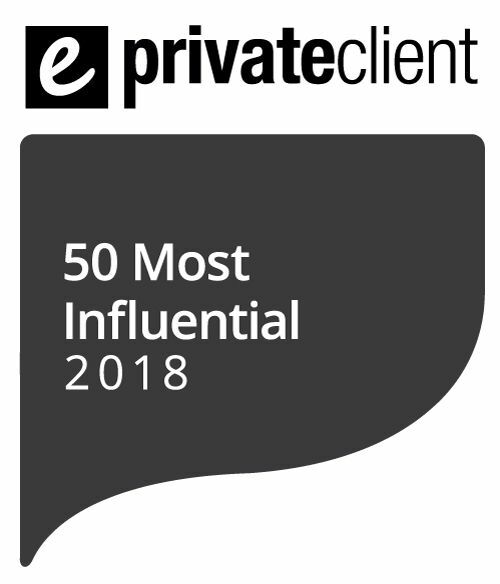 She is the only family solicitor to ever be listed on the ePrivateClient’s 50 Most Influential Solicitors. She has particular experience and expertise in advising on big-money and big-name divorces. She is able to advise on cross-border money matters and has a particular interest in trusts and pensions. Her practice covers divorce, separation, civil partnerships, pre and post-nuptial agreements, co-habitation agreements, children issues, abductions and international law. She works with the leading Family Law silks. Charmaine has represented a vast number of public figures including pop stars, actors and actresses, members of parliament, well known sports men and women, TV personalities, entrepreneurs, medical practitioners, bankers, accountants and other clients who require efficient no nonsense financial advice. She makes every endeavour to ensure that she receives no publicity from these representations, in deference to the clients’ need for confidentiality during a period in their lives of emotional and financial turmoil. She currently leads the family team at Wedlake Bell which she established in November 2011. She previously established and headed a former Legal 500 number one family department in the South East. She is a member of Resolution (formerly Solicitors Family Law Association) where she was one of the first accredited specialists in high net worth financial matters and child abductions. She is a past trustee of Surrey Family Mediation and a former Vice Chairman of the British South African Law Association. 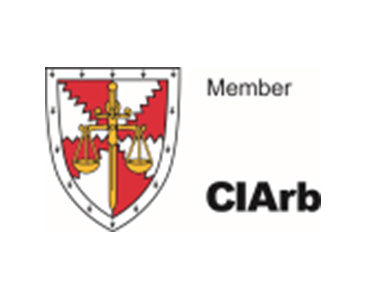 As a member of the Chartered Institute of Arbitrators, she is able to guide clients, where appropriate, to a more speedy and cost effective manner of adjudicating matters rather than to resort to the court process which can be protracted, public and extremely stressful. In March 2015, Charmaine was widely quoted on the Wyatt post-divorce pay out, including: BBC News, the Press Association, Mail online, the Evesham Journal, Stroud Life, the Western Daily Press and the Tewkesbury Admag alongside interviews for BBC Radio Five Live, ITV, BBC, and many other publications. In April 2016, Charmaine was interviewed by The Divorce Magazine and she discussed family arbitration – Click here to see the full interview. In October 2018 she addressed the Bev Clark Seminar on Family Law in Johannesburg, South Africa. Charmaine has a number of reported cases in South Africa and England and Wales. This is often evidenced by mood swings from feeling extremely high to feeling extremely low. They may never experience periods of “normal” moods. This disturbing condition is when one experiences extraordinary difficulties in dealing with life regardless of whether it relates to how other people deal with things or how the patient perceives the world. Anger, paranoia and even feelings of suicide are experienced by these patients who have insecure relationships. It is a tragic feeling of being useless and can include thoughts of suicide. Depression should not be left to smoulder and help should be sought without delay. Clinical depression can become manic depression and may even result in bipolar tendencies. The Samaritans can be contacted 24 hours a day, 7 days a week 116 123. Narcissistic personality disorder is usually found in people who lack confidence but display over confidence, lack of empathy for others and the need for attention. This disorder causes unhappiness and disappointment as they think they deserve more and they find their relationships unfulfilling. This is the general inability to experience feelings of emotion. This is when a person is conditioned or groomed into believing that his/her perception of reality is without foundation. The retort “you are letting your imagination run away with you” is usually evidence of this. Once an abusive partner has broken down the victim’s ability to trust their own perceptions, the victim is more likely to stay in the abusive relationship. Gaslighting tends to happen very gradually, the abusive partner’s actions may seem like just a harmless misunderstanding at first. Over time, however, these abusive behaviours continue, and a victim can become confused, anxious, isolated and depressed, while losing all sense of what is actually happening. Then, the victim may start relying on the abusive partner more and more to define reality, which creates a very difficult situation to escape. Psychosis and neurosis are subjects which require more than a simple explanation. * These cases were appeal cases which were successfully appealed. “Government gets tough on family financial orders”, Law Society Gazette, 17 August 2018. “UK: Ex-wife cannot claim increased maintenance to compensate for lost capital”, STEP, 19 July 2018. “Supreme Court overturns Court of Appeal’s ruling on spousal maintenance case – Industry reacts”, ePrivateClient, 19 July 2018. “Reader’s question re: Non-disclosure of assets”, Financial Times, 14 June 2017 . “Divorce for international couples”, Spear’s, 14 February 2017. “Divorce season”, Spear’s, 8 September 2016. “Ask the expert section: inheritance”, Choice Magazine, 24 June 2016. “Asos co-founder sells shares to fund divorce settlement”, Spear’s, 21 June 2016. “Widow seeks half of deceased husband’s estate”, Spear’s, 16 May 2016. “Answer to ask the expert question”, Choice Magazine, 24 February 2016. “Press release re: Data Protection in divorce”, The Times’ Brief, 5 January 2016. 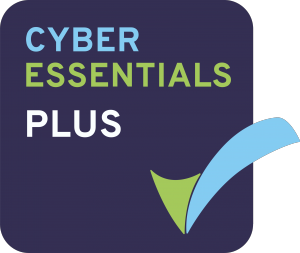 ""The ‘hugely experienced and knowledgeable’Charmaine Hast heads the team and is ‘never phased by anything and has seen it all before’." "
""She's got a huge amount of experience but she's not afraid to try different things in a case."" ""Commentators describe her as "fantastic with clients and a really good tactician,""
"Charmaine Hast is highly regarded for her ability to handle complex financial litigation, as well as her strength in collaborative proceedings." "An outstanding practitioner, hard as nails when it counts. Soft as a feather when needed. A great character of the matrimonial legal world. A truly unique person. One of the top flight of matrimonial solicitors bringing a rare degree of commitment, judgment and intellectual acuity to this most demanding area of law. Her clients like her dedication to their causes." "Wedlake Bell LLP has a ‘very busy’ practice headed by the ‘indomitable’ Charmaine Hast, who ‘works incredibly hard for her clients and gets excellent results for them – clients such as footballers, captains of industry, and the rich and famous’."